Open and inviting, richly appointed and steeped in tradition, Round Hill takes you far beyond the ordinary vacation getaway, located 25 minutes drive from the Montego Bay airport and set on a 110 acre peninsula, it offers 36 Ralph Lauren designed oceanfront guest rooms, 26 luxury villas, ranging from 2 to 6 bedrooms, you can book as your private home with dedicated staff, or a spacious villa suite. Tamarindo Diria Beach & Golf Resort allows guests to relax to the peaceful sounds of the ocean, wildlife, and nature. The only hotel that is located on the white sandy beach of Tamarindo. View unforgettable sunsets from the balcony of your room. 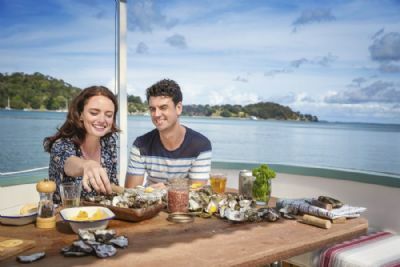 Endless exploring in buzzing cities, charming villages and hidden reefs, Ultimate Australia and New Zealand takes luxury to the next level. 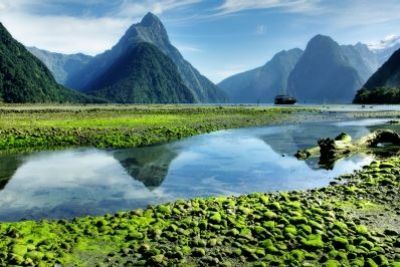 A private helicopter tour over Milford Sound, a luxury cruise through Sydney Harbour and endless spa retreats are what are in store for you on this unrivaled itinerary. Escape to the Great Barrier Reef at qualia, an exclusive lodge set in the idyllic Whitsunday Islands. Stimulate your senses in Sydney, get outdoorsy in New Zealand and laze away on the islands. 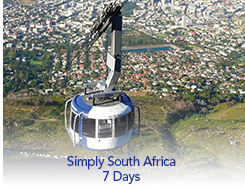 Combine the best that these two unique countries have to offer for one perfectly crafted luxurious journey. 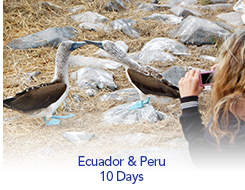 Embark on a sweeping adventure that encapsulates all the wildness of Galápagos balanced with cultural and historic experiences of Machu Picchu & the Land of the Inca. You'll explore Galápagos in depth aboard the 96-guest National Geographic Endeavour II, our newest, fully equipped expedition ship with tools for exploration. Nestled in a desert enclave and overlooking Cambelback Mountain, this Scottsdale resort offers an idyllic escape. The 201 eclectic art-inspired guest rooms are set within casita-style bungalows, against the backdrop of the magnificent desert landscape. Dine at two exciting restaurants, unwind at the poolside bar or relax in the spa. The resort is close to dining hot spots, shopping, outdoor adventures and much more. The Hyatt Regency Waikiki Beach Resort & Spa offers the perfect setting for a dream vacation in paradise. Guests will delight in Hyatt's ideal location at Waikiki Beach, its luxurious guest accommodations, the Na Ho‘ola Spa, award-winning restaurants, and over 60 shops and boutiques. Set in the district of Bogenhausen, this Munich hotel is just moments away from museums, beer gardens, and a wide array of dining options. Visit the shopping mile of Maximilianstraße or the world-renowned 900-acre English Garden. 627 stylish guest rooms and suites feature Heavenly® Beds, rain showers and other upscale amenities. 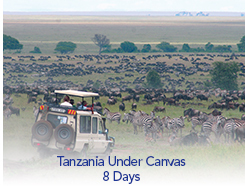 The jewel that is Namale sits majestically on the edge of the Koro Sea. The magic of Namale lies in the combination of it lush & colorful landscape, luxurious accommodations, and the unparalleled hospitality of resort staff. Encompassing 525 acres, with only 19 combined villas and bures, Namale - The Fiji Islands Resort & Spa is the epitome of seclusion and privacy. Botswana's wilderness is expansive and-to our scurrying senses-timeless, and the Okavango isn't its only dreamy place. Our under-two-week safari takes us to three others, right up near the top of African marvels: Chobe National Park and, up near the Zambian border, the exemplary Moremi Wildlife Reserve, quite close to another phenomenon of miraculous rarity, Victoria Falls. Experience all the wildness and beauty of Costa Rica and Panama on a sweeping adventure through the canal, along the coasts, and inland to a mist-shrouded cloud forest, volcano, lake, and a car-free, jungle village. Celebrate New Year’s Eve Down Under with this ultimate experience and an unmatched view of the Sydney New Year's Eve Midnight Fireworks. 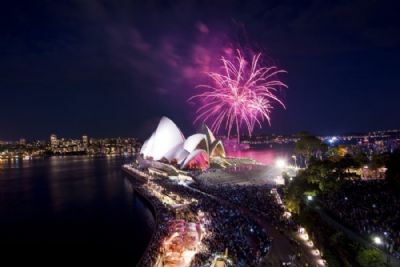 This experience is one of the most spectacular shows that takes place in the world's best open theater - fireworks firing from barges, skyscraper rooftops and across the iconic arch of the Sydney Harbour Bridge. Stay in luxury accommodations and take part in a Sydney Harbour Bridge Climb and a tour of the city to complete this unforgettable experience. Explore nine countries united by the Baltic Sea, discover their intertwined histories, and encounter fascinating cultures. Explore from a privileged vantage point-cruising the Baltic Sea by ship allows us to sail routes of the old Hanseatic League, in the paths of early traders and nobles, and it lets us enter the cities as they were meant to be-by sea. This fascinating exploration of the remote Siberian coastline promises rich culture and an astounding wealth of wildlife. Meet indigenous artists known for their intricate walrus ivory carvings, take in dramatic bird cliffs teeming with puffins and guillemots, then forge farther north, well above the Arctic Circle to Wrangel Island Reserve. We highly recommend our 7-night Amazon River Expedition Cruise on the Aria Amazon where you may experience our most luxurious and comprehensive Amazon journey among the Amazon River's two powerful tributaries: the Marañon and the Ucayali, as well as several hidden black water lakes. We're fans of Travel+Leisure's annual Best in the World polls. (Admittedly, we're just a bit prejudiced, having been voted World's Best Safari Outfitter by T+L a record nine times.) So a few years ago we decided to honour Travel+Leisure and its readers by creating an all-star safari that sets down at some of Africa's best hotels, as consistently recognized by the magazine. Named after France's greatest Post-Impressionist painter, whose work is indelibly linked to Tahiti and Polynesia, the Paul Gauguin is the ideal ship on which to explore the world's last natural paradise. Come experience the ultimate in luxury, service and impeccable cuisine aboard a ship that celebrates the art of living in true Gallic style. Join us on the Paul Gauguin, a jewel of the Radisson Seven Seas Cruises fleet, and a luxuriously appointed ship that reflects the essence of French Polynesia. Perfect for active families, and just 45 minutes North of West Palm Beach, this is the location of the Club Med Academies. Learn from the pros in your favorite sport! Experience premier escorted touring plus independent touring from Auckland to Christchurch. Aqua Expedition's 3 night Amazon River luxury cruise on the Aria Amazon begins in the remote colonial city of Iquitos (IQT), Peru and transports guests in exceptional comfort into the Amazon rainforest, along the Marañon River, the Amazon's largest tributary, as well as other neighboring rivers (the Yarapa and Yanayacu-Pucate), each one rich in vibrant wildlife and thriving rainforests. With PONANT, set off to discover the west coast of Spitsbergen during a 10-day expedition cruise into the heart of the Svalbard Archipelago. Aboard L'Austral, fall under the spell of the magical Arctic Far North, with its ice floes, polar bears and breathtaking glaciers. Located in the heart of Saint Lawrence, a bustling South Coast hotspot, Sandals Barbados adds Luxury Included® elegance with beautifully-appointed rooms and suites, gourmet dining, impeccable butler service and more. Explore white sand beaches, warm turquoise waters, rolling hills, and hidden, underground lakes and caverns. Set along the Pacific coast within the exclusive community of Puerto Los Cabos, the brand-new all suite Secrets Puerto Los Cabos Golf & Spa Resort provides the ultimate adults only, Unlimited-Luxury® escape. Secrets Puerto Los Cabos Golf & Spa Resort offers 500 luxurious guest suites, each featuring a king-size bed (or two double beds), full bathroom with Jacuzzi tub, private and furnished terrace or balcony, complimentary mini-bar and much more. PONANT invites you to set sail aboard L'Austral for a memorable 14-day expedition cruise to the discovery of Baffin Bay. You will embark in Kangerlussuaq for an unforgettable journey in the heart of the most magnificent Arctic landscapes. Explore two distinct iconic wildlife regions, Laikipia and the Maasai Mara in open vehicle day and night game drives, guided walks, horseback safaris, and visits to community and conservation projects.Discover the unique customs, colorful adornments and evolving culture of the friendly Maasai and Samburu tribes.Experience the serenity of sleeping under the endless night sky in handcrafted four poster beds on raised wooden platforms.Enjoy meeting your orphaned foster elephant at the David Sheldrick Wildlife Trust. Follow the Viking trail aboard the new National Geographic Endurance on a voyage from Norway to the far-flung islands and archipelagos of the Arctic. After a full day taking in the excitement at the speedway, you'll enjoy coming back to the hotel, with all the amenities Hampton Inns are known for clean, comfortable rooms in a relaxed, inviting atmosphere and breakfast including hot entrees such as sausage, eggs, and biscuits. The hotel is approximately 55 miles north of the speedway and 5 miles Southwest of Roanoke Regional Airport (ROA). Experience Oahu's tropical North Shore. Set on 880 acres, the newly renovated oceanfront resort offers golf, tennis, riding stables and nature trails.